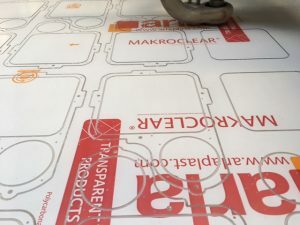 Solid Polycarbonate sheets are clear as standard. The Polycarbonate offers an extreme impact strength that exceeds the majority of other clear plastics. 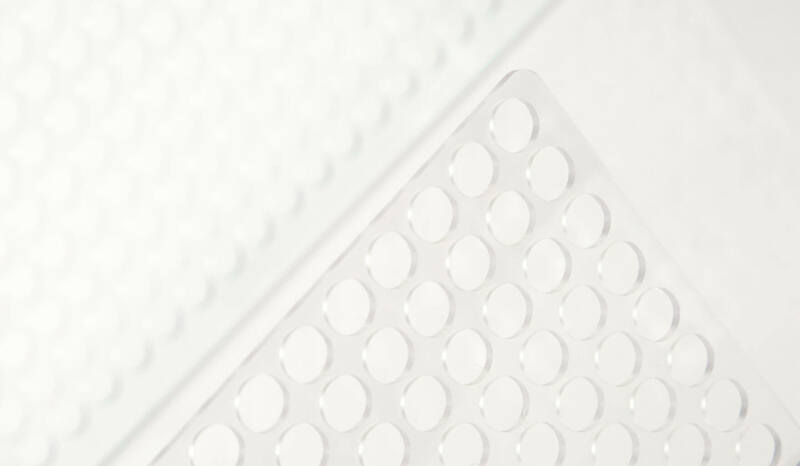 Polycarbonate sheets can work in temperatures of -100 to +120 °C while still maintaining a high optical clarity and have a good fire rating. A popular plastic material used to make shatterproof windows, it has a better light transmission than regular glass. 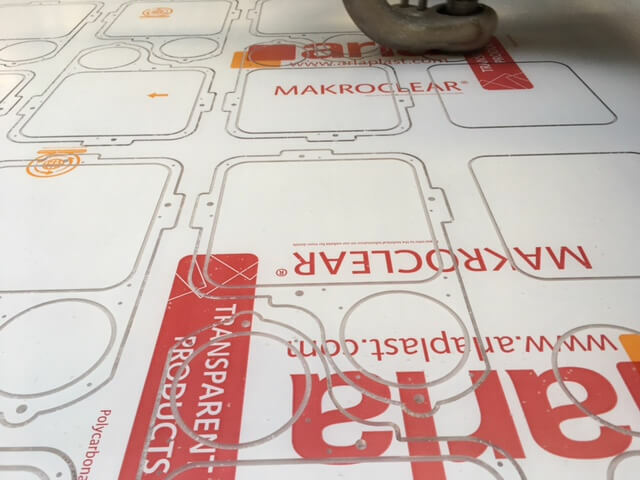 Polycarbonate sheets are also commonly known by the manufacturer’s names of Makrolon® and Lexan®. 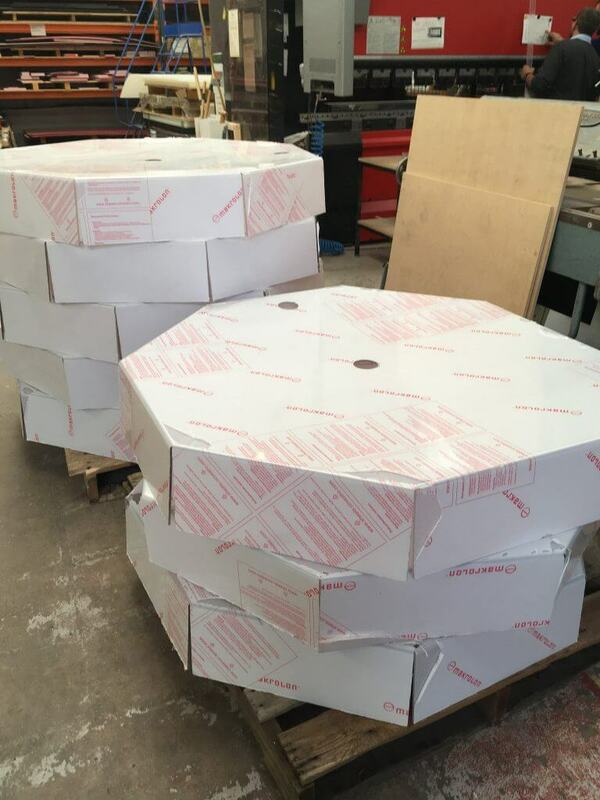 Various grades and modifications of the material exist from both manufacturers. 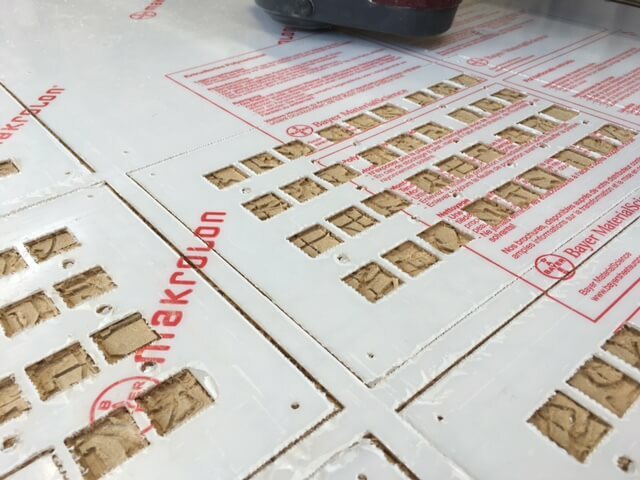 Sentinel machines and fabricates in both Lexan® Sheet and Makrolon® Sheet. 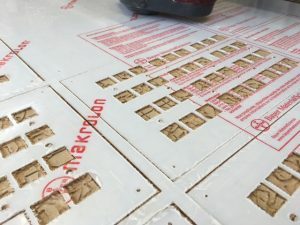 CNC Routing Polycarbonate Shapes and Polycarbonate cut panels. 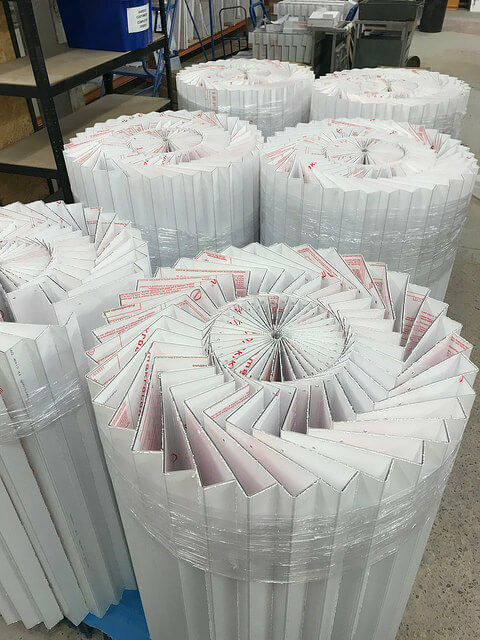 Typical applications for Polycarbonate sheets include plastic machine guards, lighting fixtures, clear electrical shrouds, Polycarbonate safety screens and finger guards. 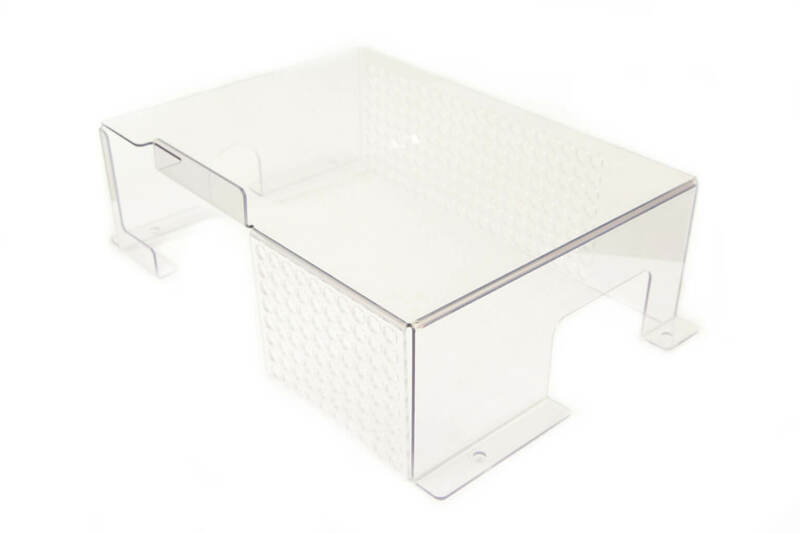 The Polycarbonate sheets offer high protection against breakage and deliberate destruction. 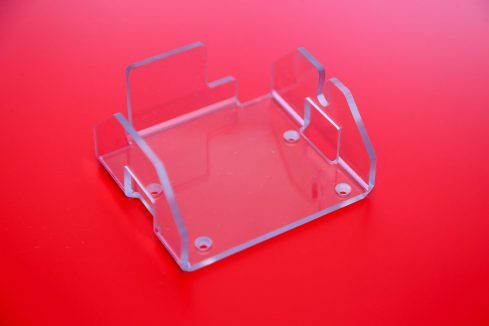 Our Plastic CNC machining services offer a great range of capabilities to achieve your bespoke requirements. 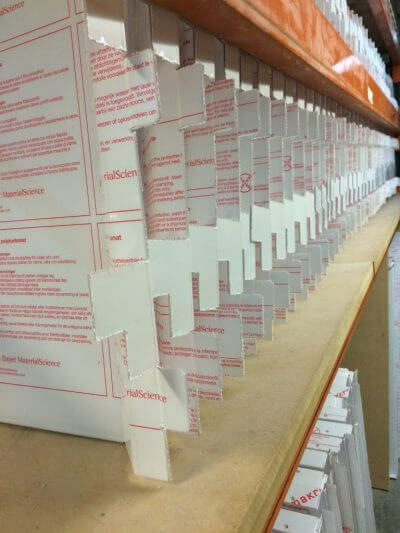 This combined with our in-house plastic fabrication services offer our customers a comprehensive package. The varied ranges of plastic materials that are available today are machined accurately and quickly for rapid delivery and high quality. We specialise in machining Polycarbonate but also acrylic, PETG and PVC, as well as other types of engineering plastic materials from acetal, Delrin, nylon, polyethylene, HDPE to ABS and so on. All Industrial plastics have different machining individualities with some limitations, so using an experienced company like ourselves is essential in ensuring the best possible service. 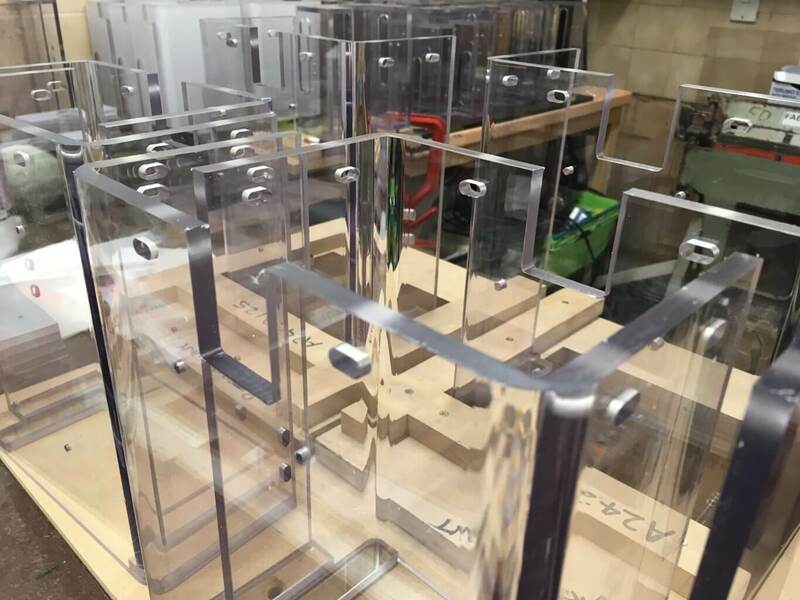 Our vast experience in Machined and Fabricated Polycarbonate parts means that we can provide guidance on grade selection and aspects of design. This guaranteeing the right part arrives and the desired product finish required for your application. 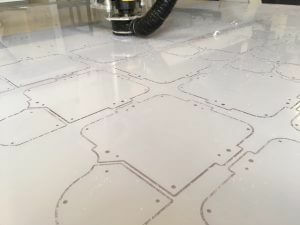 Our 5 largest CNC routers can provide machining of plastic sheets up to 3M x 2M. 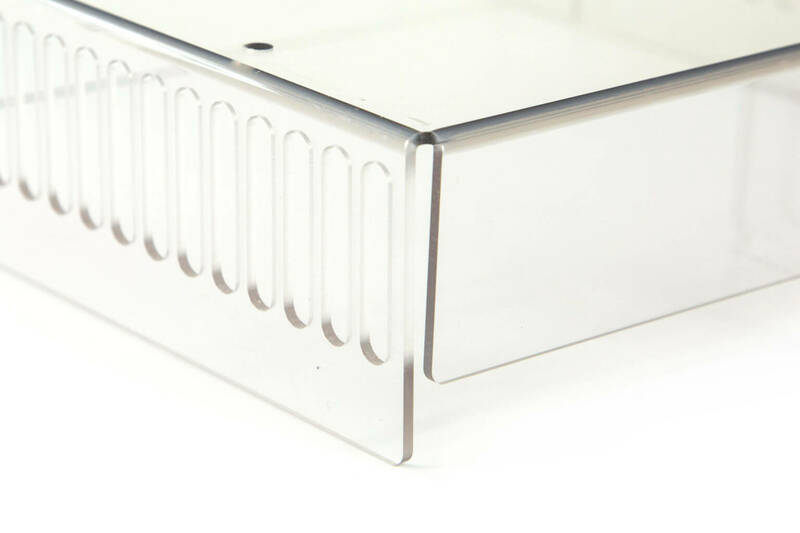 Polycarbonate machining, routing, drilling and engraving services are available to customer specific parts at very competitive pricing. Most notably, bespoke Polycarbonate guards are produced at Sentinel on a large scale. Importantly Sentinel Plastics has the capacity to produce large sizes in high volumes. 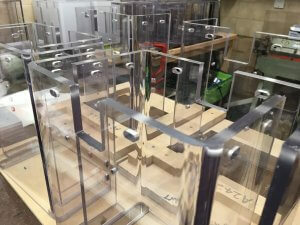 With bespoke Polycarbonate guards are manufactured to customer specification and size. 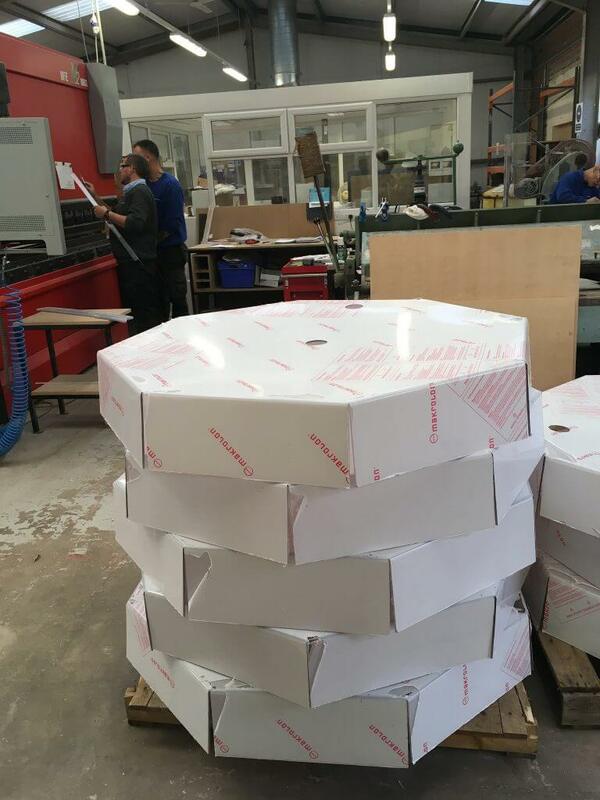 While customers requirements are for many varied applications. And although some are requiring precision fit, others may require less accuracy. 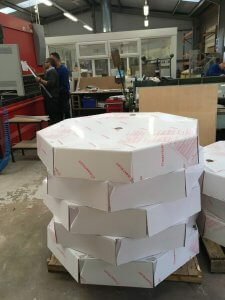 Finally resulting in customers parts produced to a very high standard. 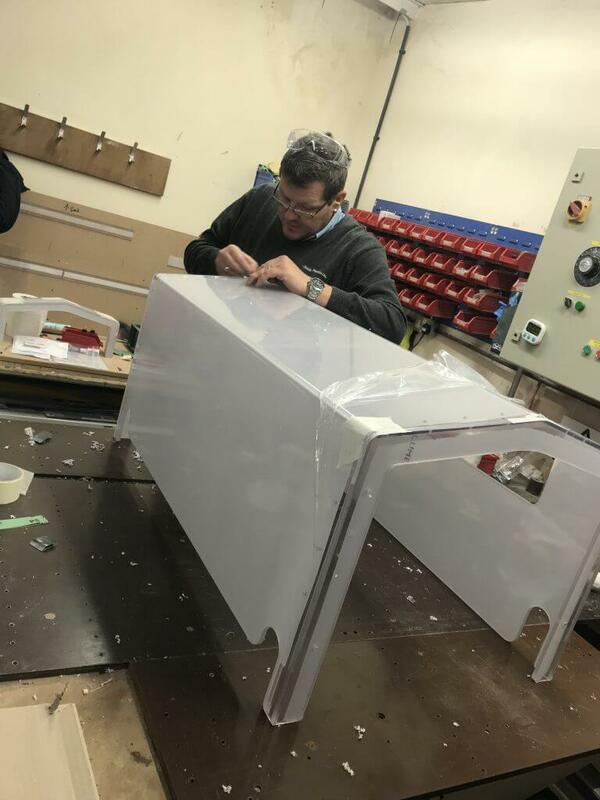 Significant is that the skills required to work with a complex material, such as Polycarbonate, have been finely honed over many years. 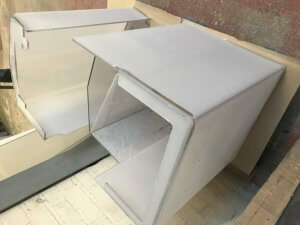 As a result this allows for accurate bending of large sized Guards in very short time scales. Most noteworthy is that thickness is not a problem. Sentinel can fabricate from 1mm up to 10mm, thickness beyond this can depend on design and availability. 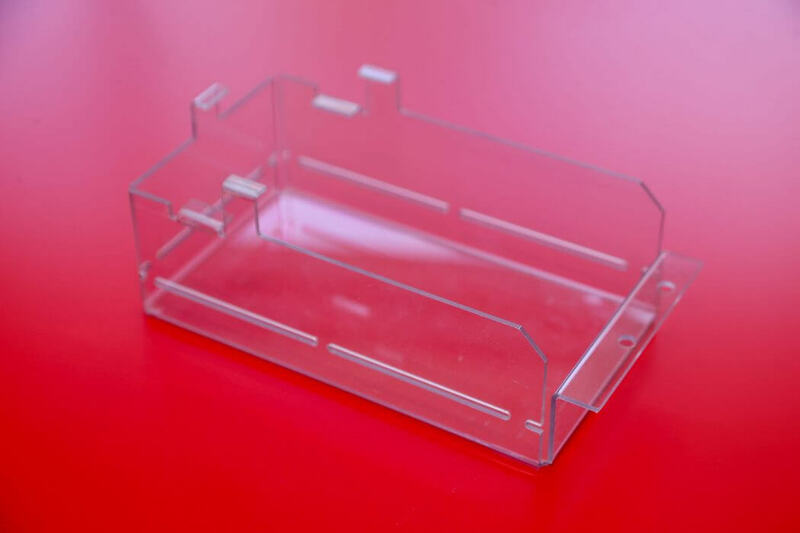 The link below has a more detailed description of available grades of Polycarbonate.